You will be asked to vote on the confirmation of Susan Segal for city attorney at the City Council meeting March 30. Even Segal’s most severe critics would agree with you that she is intelligent, well versed in the law and has been a good and faithful servant to the mayor and City Council. The objection to Ms. Segal is that she has not been a good and faithful servant to the Bill of Rights and the City Charter. She swore an oath of office not to be a mouthpiece for developers and New Jersey racketeers, but to defend the rule of law. Some of us feel strongly that the civil rights of Terrance Franklin and Jamar Clark were violated before they were killed by officers of the Minneapolis Police Department. Criminal proceedings against the officers have been abandoned. Civil lawsuits drag on past the public’s memory. But the city has the responsibility to discipline its employees. It is the responsibility of the city attorney to read the police reports and make recommendations to the mayor and chief of police. And it is the responsibility of the mayor and the chief of police to take action. Does that sound like proper police procedure? Is that the proper way to approach and apprehend a suspect in a break-in? The city has a responsibility to hold officers (and all city employees) to a civilized standard of behavior and insure that our city employees act in a manner respecting all citizens’ civil rights. We need that to start happening now. And we need a city attorney who respects the City Charter. When the citizens of Minneapolis voted twice to amend their charter to demand a voice in spending city tax dollars for a sports stadium, then, for the city attorney to ignore the wishes of the people of Minneapolis and to seek favor with elected officials and New Jersey racketeers, it means we are no longer ruled by law but by gangs pursuing their own special interests. We have an absolute right and a moral responsibility to insist that the city attorney does not work for politicians or developers or police officers federations. She works for us and the rule of law. Our Revolution said to its members: “The appointment of City Attorney Susan Segal is being pushed through at full speed, despite a faulty process and opposition from community members and our membership who voted to make stopping her reappointment one of our top priorities for the year. Our Revolution has made a conscious and deliberate strategy of staying in the DFL. In Michigan and Wisconsin the Green Party candidate, Jill Stein, got enough votes to make the difference between Clinton and Trump. Cam Gordon, the only Green on the council, is the only member at this time committed to voting against Segal’s reappointment. Maybe it’s time to reconsider the strategy. 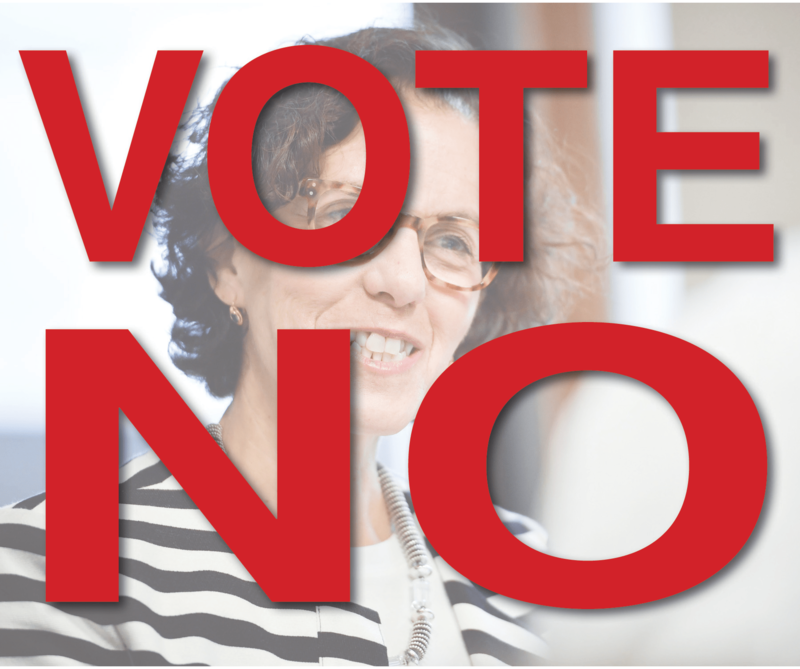 Please vote NO on the reappointment of Susan Segal as city attorney.